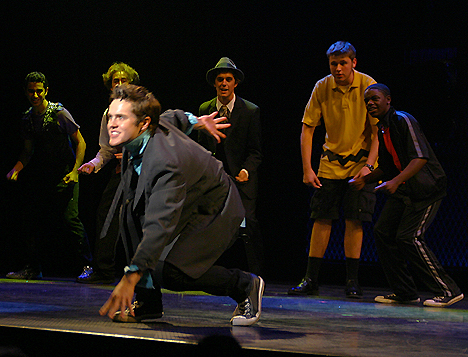 You might say it was a glee fest at the Marquis Theater last evening, as 44 of the most talented young performers from around the country competed in the second annual National High School Musical Theater Awards. 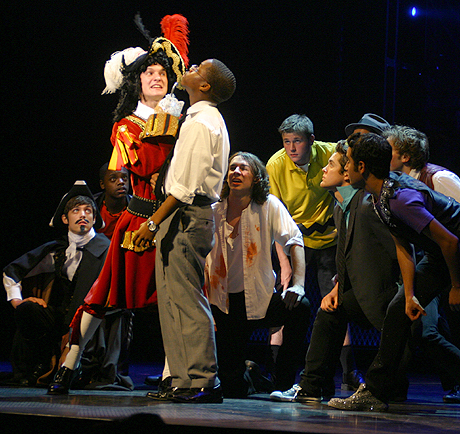 At the end of the show, a panel of celebrity judges including Scott Ellis, Montego Glover, Bernie Telsey, and others chose two super-talents to receive this year's "Jimmy" Award, named after James M. Nederlander, scion of the famed theatrical dynasty that established the awards in collaboration with Pittsburgh CLO. Here are my pix of this awesome event, which was hosted by Kathie Lee Gifford and Tommy Tune. The fabulous opening number showcased all 44 contestants, giving more than a hint of the talent on display. The bulk of the evening consisted of these amazing young men and women recreating moments from the performances that had earned them the title of "Best Actor" or "Best Actress" in regional competitions. 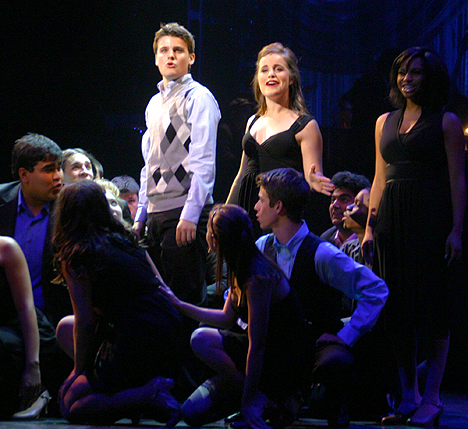 Front and center in this photo is Katie Finan (Miss Sherman, Fame). 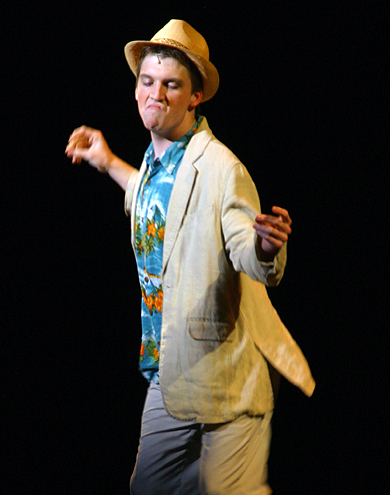 Matt Hill (Freddy Benson, Dirty Rotten Scoundrels). 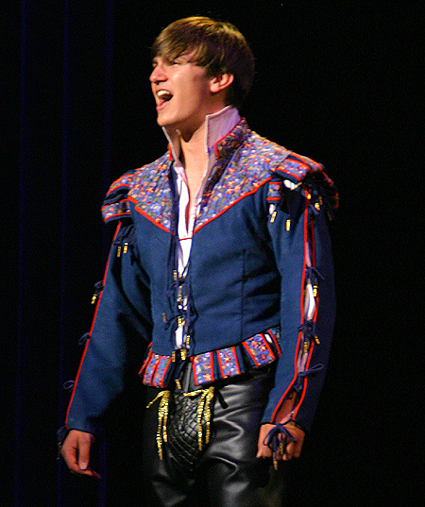 Christian Paris (Fred Graham/Petruchio, Kiss Me, Kate). 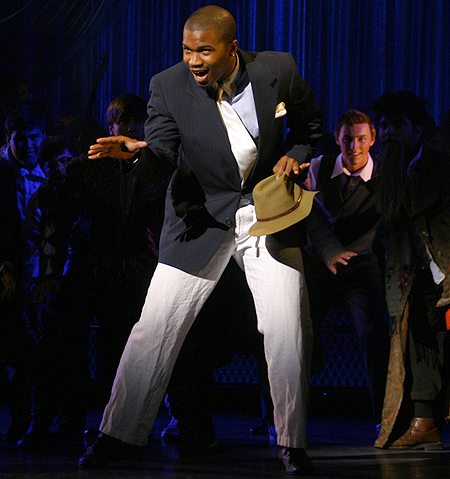 Elgin Giles (Sky Masterson, Guys and Dolls). Alex Field (Tin Man, The Wiz). 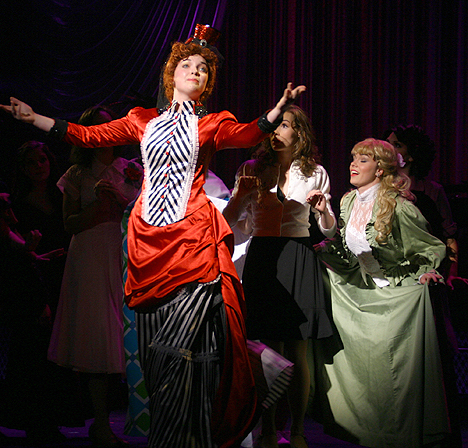 Katie Oxman (The Chairwoman, The Mystery of Edwin Drood). 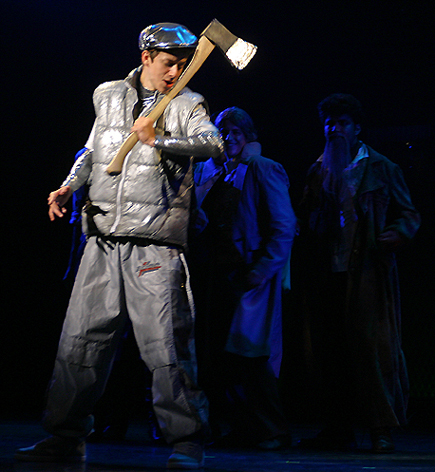 Andrew Gallop as Peter Pan's Captain Hook confronting Prentiss Mouton as Reverend Shaw from Footloose. 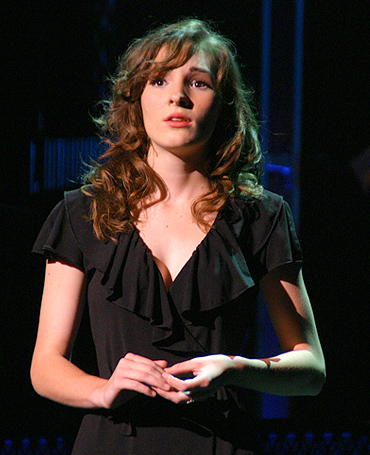 Katie Sapper as Audrey in Little Shop of Horrors. 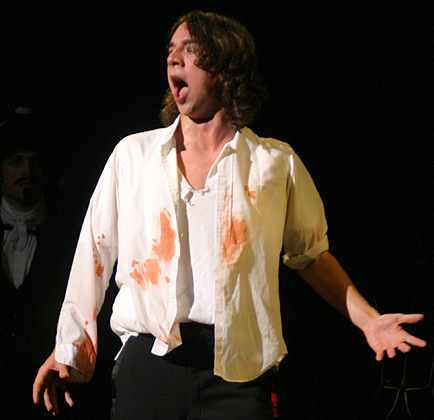 Rob Gerrold as -- you guessed it -- the title characters in Jekyll and Hyde. 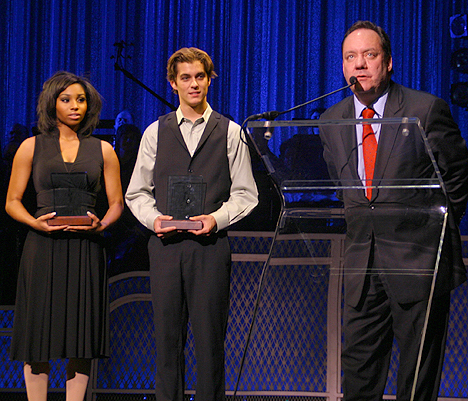 At the end of the ceremony, James L. Nederlander presented Jimmy Awards to Alexandria Payne, who earned an ovation for her performance of "Your Daddy's Son" from Ragtime, and Kyle Selig, who killed with "The Streets of Dublin" from A Man of No Importance. 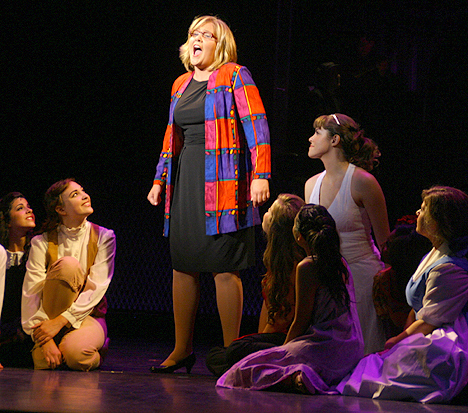 For more information on the National High School Musical Theatre Awards, visit nhsmta.com.